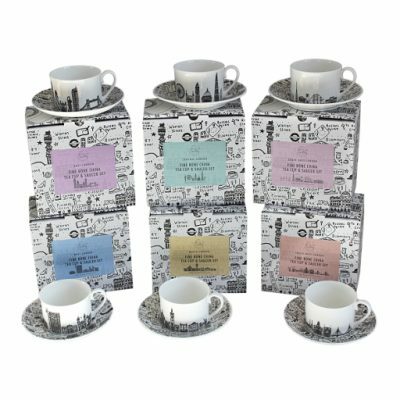 Enjoy learning about some of London’s most illustrious residents past and present with the Famous Londoners side plate by House of Cally. 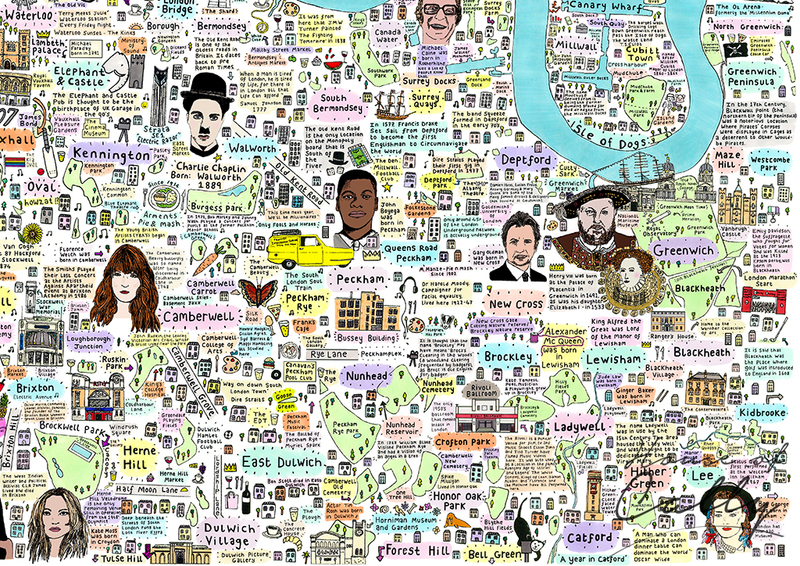 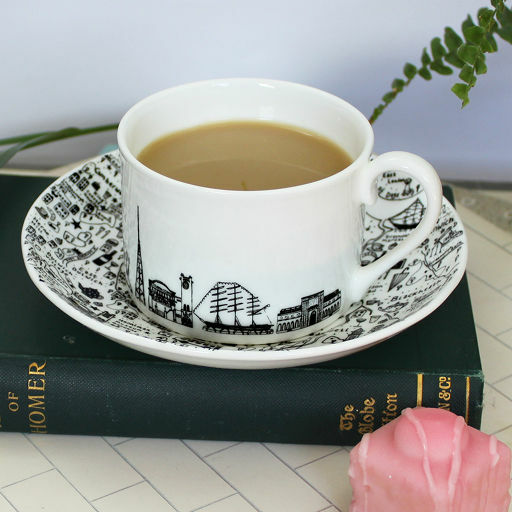 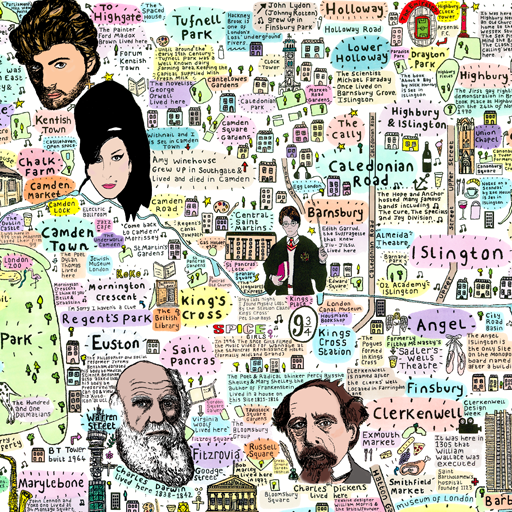 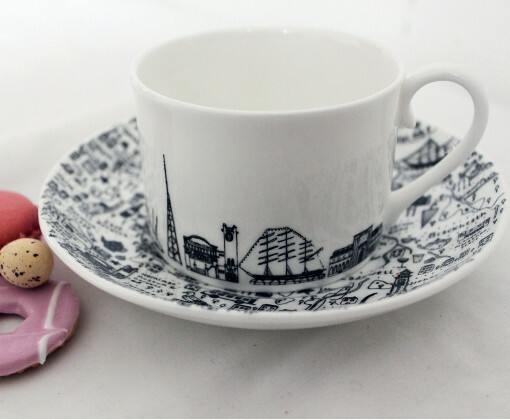 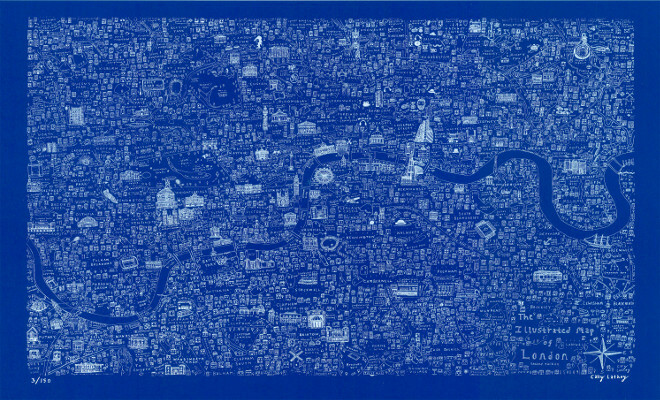 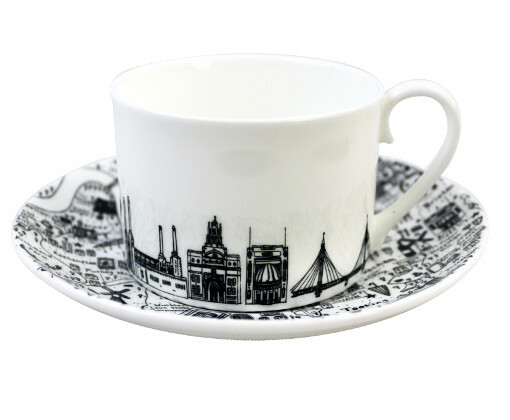 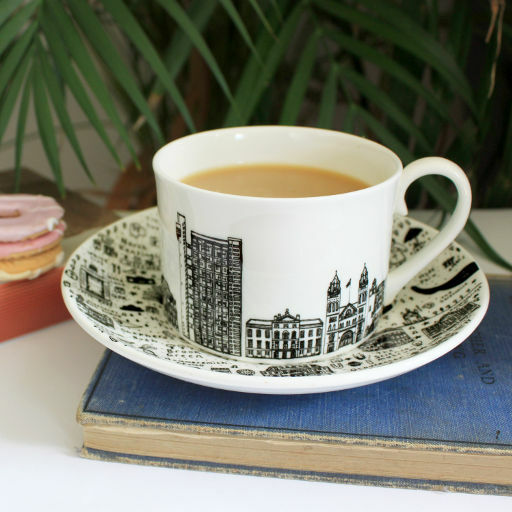 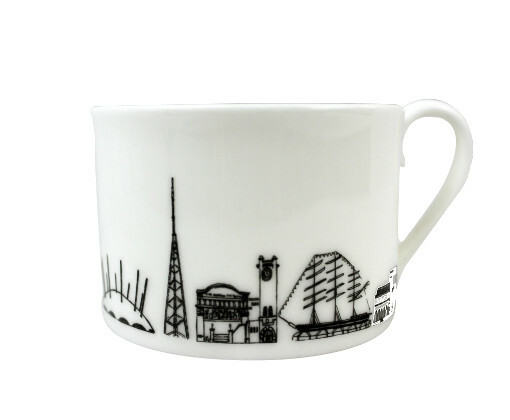 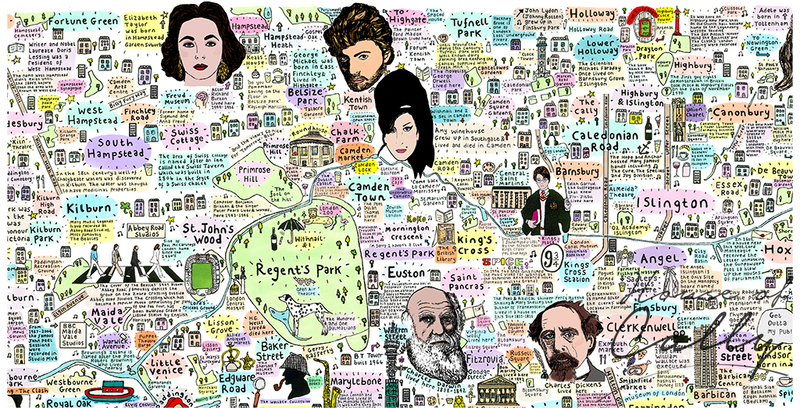 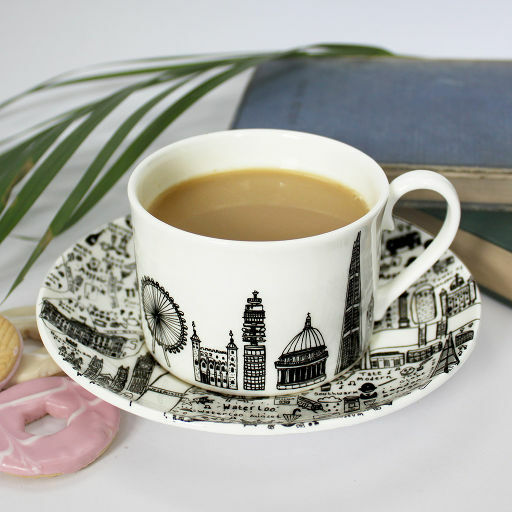 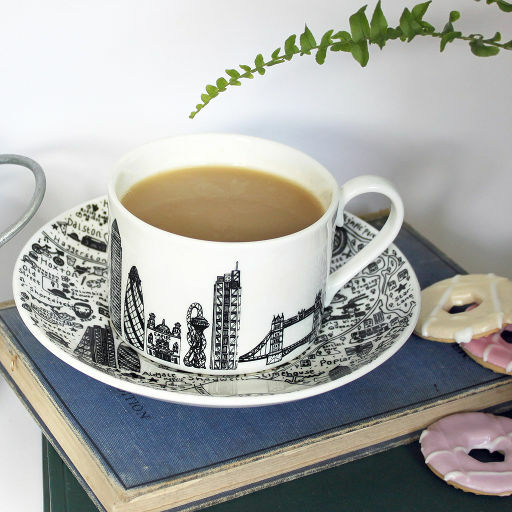 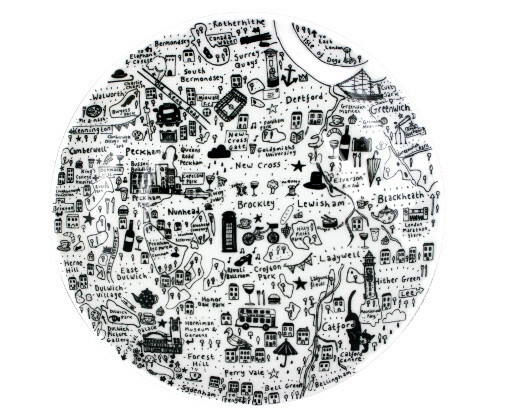 The design of the plate features fun illustrations and facts about some well-known Londoners. 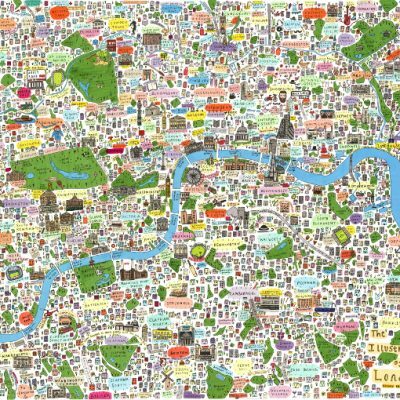 The Famous Londoners featured on the plate come from varied backgrounds, from royalty and fashion icons to film and TV stars and musicians. 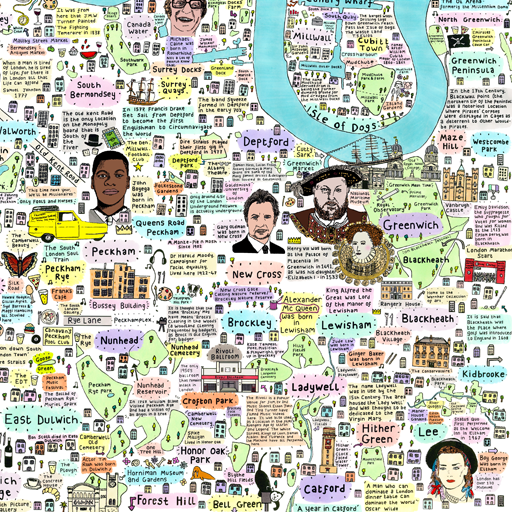 Royalty: Henry VIII, Elizabeth I, Queen Victoria and Queen Elizabeth II . 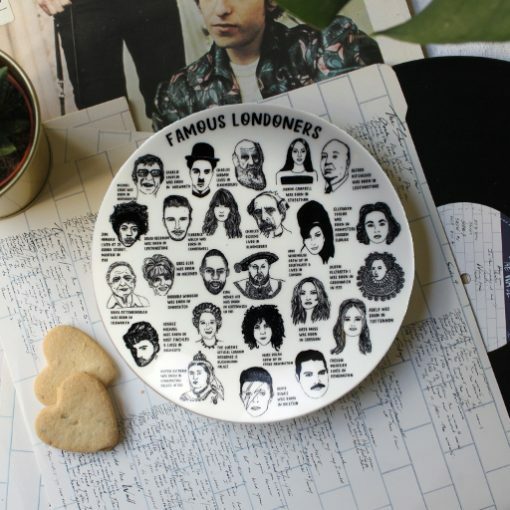 The Famous Londoners plate is made from fine bone china. 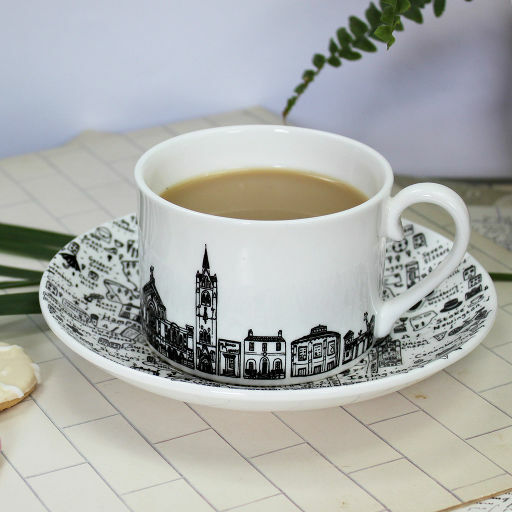 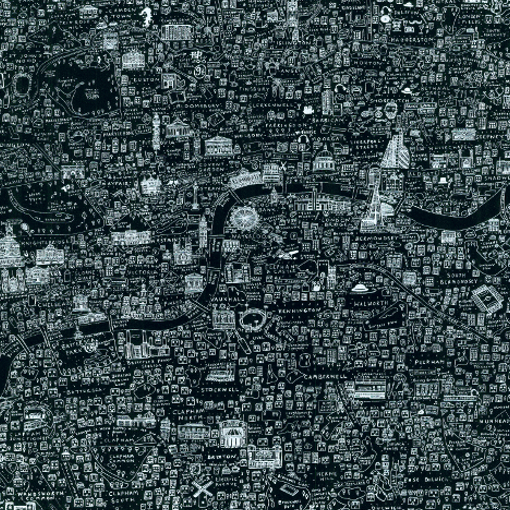 It is produced in Stoke-on-Trent, the heart of the Potteries. 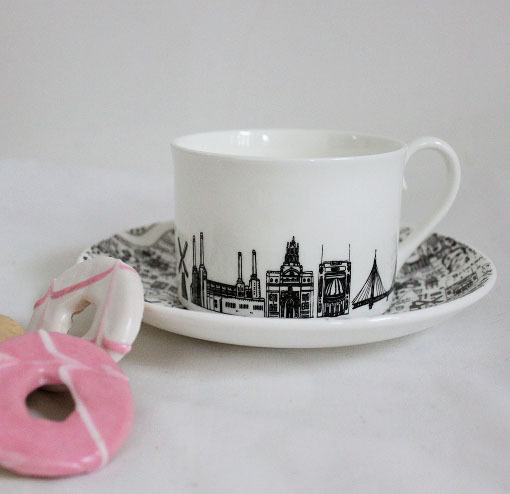 Please note this is a side plate, not a dining plate. 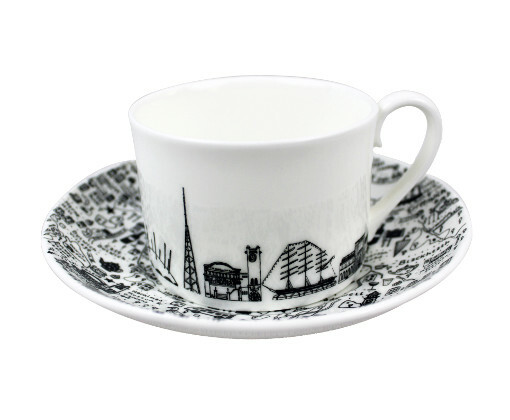 The Famous Londoners side plate by House of Cally costs £15, excluding shipping. 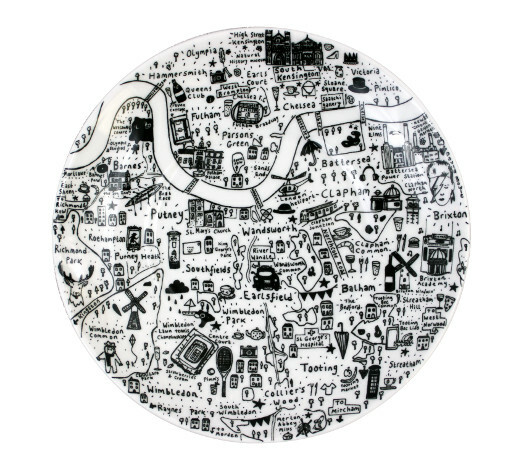 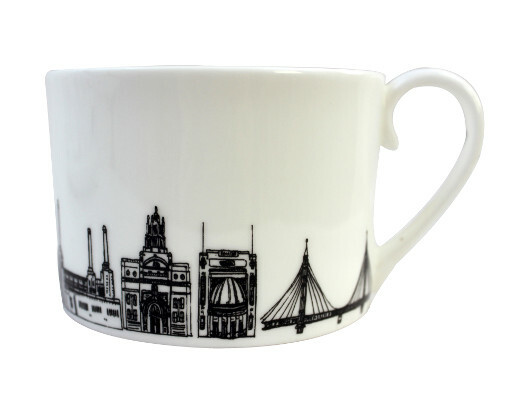 At present the Famous Londoners side plate is only available to purchase online in the United Kingdom. 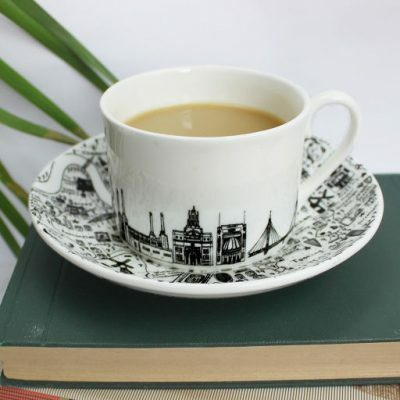 For international orders, please send enquiries via email to info@houseofcally.com for more details.